Your car, truck or van is the second costliest purchase you will ever make — outranked only by your home. And it’s also likely that you’re discouraged by the thought of maintaining your vehicle. Today’s vehicles seem too complex for your own backyard tinkering, and finding a good repair facility with competent mechanics seems more difficult than it should be. Fortunately there’s a group that can help take much of the guesswork out of finding a competent technician. The independent, nonprofit National Institute for Automotive Service Excellence, better known as ASE, is dedicated to improving automotive service and repair by testing and certifying the competence of individual automotive technicians. 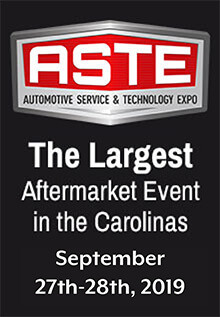 ASE is the only automotive certification group that is both national in scope and industry-wide. It is self-supporting, with a forty-member, volunteer board of directors drawn from all segments of the automotive service industry, as well as representatives from education, government and consumer groups. ASE-certified technicians have proven their competency to you, to their employers, and to themselves by passing national, standardized exams. Because ASE’s program is voluntary, technicians who have paid in time and money to earn ASE certification can be counted on to have a strong sense of pride in their profession. Moreover, prior to taking ASE exams, many mechanics attend training classes or study after work to increase their knowledge, another plus for consumers. ASE certifies only the individual technician, not the repair shop itself, but it stands to reason that employers and managers who encourage their technicians to earn ASE’s national credentials will be concerned about all aspects of their business. Twice a year some 100,000 technicians sit for ASE certification exams at over 600 locations. The exams are administered in the field by ACT, the same organization that offers college entrance and other professional exams. The exams, which stress real-world diagnostic and repair problems, are designed by representatives from the automotive service and repair industry, vocational educators, and ASE’s own in-house technical specialists. There are eight automobile exams: Engine Repair, Engine Performance, Electrical/Electronic Systems, Brakes, Heating and Air Conditioning, Suspension and Steering, Manual Drivetrain and Axles, and Automatic Transmissions. There are also tests for collision repair/refinish technicians, engine machinists, parts specialists, and medium/heavy truck technicians. The exams are no cinch to pass; on average, one out of three test takers fail any given exam. But those who pass and fulfill the work experience requirement earn the title of ASE-certified Automobile Technician, while those who pass all eight auto exams earn Master Auto Technician status. Every ASE technician is issued credentials listing his (or her) exact areas of certification and an appropriate shoulder insignia. Nor does it end there: certification is not for life; ASE requires its technicians to re-certify every five years to keep up with technology and to stay certified. ASE-certified technicians can be found at every type of repair facility: new car dealerships, independent garages, service stations, tire dealers, special shops, and major franchises. There are about 375,000 ASE technicians at work across the nation. Repair facilities with one or more ASE-certified technicians are entitled to display the blue and white ASE sign and post their certified technicians’ credentials in the customer service area. As with physicians, auto technicians specialize. Because ASE offers certification in all major technical areas of auto repair and service, it’s wise to ask the shop owner or service manager specifically for a technician who is certified in the appropriate area, say, brakes, engine repair, or air conditioning. The technicians are issued pocket-sized credential cards listing their exact areas of certification. For free information about ASE technician certification, send a business-sized, self-addressed, stamped envelope to: ASE Consumer Brochure, Dept. CCC-F95, P.O. Box 347, Herndon, VA 22070. The vehicles on the roads today are very sophisticated and hi-tech pieces of machinery that we all rely on in our daily lives. Whether it is a passenger car, light truck or sport utility vehicle makes no difference when it comes to the level of technology that goes into making the vehicle function and appear as today’s vehicles do. They are built better and last longer than the cars of the past, which results in a price tag to match. In fact, the purchase of an automobile today is likely the second highest investment the average consumer will make in a lifetime. Therefore, the choice of who will make the repairs to your vehicle should it get damaged is really a decision of who will best protect a major investment as well as who is best qualified to work on your hi-tech investment. Since your vehicle is also likely to carry you and possibly your entire family down a major highway at 65 or 70 miles an hour reconstructing your vehicle after an accident should be a major concern and should not be taken lightly. Your safety, as well as that of a family member may be at risk if the wrong decision is made, as well as the potential of diminishing the retail value of your vehicle by having mismatched paint, telltale signs of the repair or continuing and recurring problems that you will have to live with as long as you own the vehicle. Many consumers think that their insurance company is best suited to advise them when an accident occurs and that it is best to let them make most or all the decisions related to who and how the vehicle will be repaired when involved in an accident. Although the insurer does and should play a major part in the process, one must remember that the insurer is the one that will be footing all of or the large part of the final bill. Insurance companies are in business to make money and for the most part, will look to get the vehicle repaired as quickly as possible and at the most economical price possible and therefore automatically have a conflict in whose interest they should be protected first. As such, vehicle owners that allow the insurer take control of the decision making process of who will repair their vehicle and how their vehicle will be repaired could wind up on the short end of the deal. Based on the foregoing, the owner of a damaged vehicle should always stay involved in the curtail decision making process and look to find a well qualified repair facility that they can trust to protect their investment, reconstruct the structural integrity of their vehicle and deliver a properly repaired vehicle with a guarantee that they stand behind in writing. With the complicated and technical systems incorporated into the modern vehicles on the roads today, training is an absolute must. Collision repair facilities that fail to hire trained technicians or require that their technicians attend continuous training classes are bound to have problems and run into complications that they simply will not have the skills required for resolving the problems. Although there are many training organizations that provide training classes related to the collision repair industry, the most common is known as I-CAR. The most Common testing origination is known as ASE. When the technicians are ASE-Certified, it means that they have passed a voluntary competency test or tests offered by the National Institute for Automotive Service Excellence (ASE). When the technicians are I-CAR trained, it means they have attended a course or a series of courses offered by the Inter-Industry Conference on Auto Collision Repair (I-CAR) to help to upgrade their repair skills and obtain the knowledge and skills required to repair the modern vehicles of today. Shops with highly trained personnel are proud to display these and other certificates or diplomas in their customer waiting area. I-CAR Gold Class Professional® Shops have a very high level of the most up-to-date equipment, training, knowledge, and they are known to thoroughly understand the latest technology to repair your vehicle properly. Consumers should always look for or ask the repair facility to see proof that the technicians that will be repairing their vehicle are trained and/or certified before agreeing to have their vehicle repaired at the facility. Look for Trade Association Affiliation such as Independent Garage Owners of NC (IGONC) , the Alliance of Automotive Service Providers, the Society of Collision Repair Specialists (SCRS), the Better Business Bureau or your local chamber of commerce. When a shop is a member of the Independent Garage Owners of NC (IGONC) they have agreed to uphold the association’s strict Code of Ethics. This code sets the standards for professionalism in the automotive repair industry. In addition, consumers may wish to check out a shop’s affiliation with consumer organizations such as the Better Business Bureau or the Chamber of Commerce. Collision Shops that belong to and participate in trade associations such as the IGONC are the shops that are committed to making the industry better and doing the right thing. Members of trade associations rely on the association to keep them aware of new rules, regulations and general provisions that legitimate shop owners need to know. More often than not, legitimate shops will also likely support and align themselves with organizations such as the Better Business Bureau and the Chamber of Commerce. Consumers should consider how long a shop has been in business when deciding who will make their repairs. The longer the length of time a shop has been in business is a good indication that they may be around in the future to take care of any problems you may have. Shops that hire seasoned technicians are showing obvious signs that they are committed to performing quality repairs. Ask how many years experience the shop’s technicians have. New collision shops often open up and fail within a relatively short period of time due to the complexity of the business. A shop that has weathered the storm and remained in business for a fairly long period of time is not likely to fail. Consumers should look for a quality collision shop that has been in business long enough to build a good reputation for providing quality repairs. Consumers should look for a written warranty. 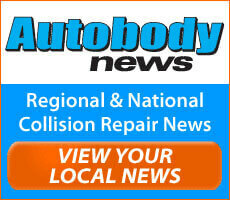 These days quality collision repair shops all have a warranty or guarantee on all their parts, workmanship and paint. Request a copy of the shops “Written Warranty” including labor, materials, parts and paint. Inquire about the type of collision parts that will be used in the repair of your vehicle. OEM Parts are parts manufactured by the Original Manufacturer of the vehicle. After Market Parts are parts made by someone other than the original manufacturer of the vehicle. Aftermarket parts are questionable at best. If a shop installs aftermarket collision parts on your vehicle, the factory warranty may be considered void, and you may have to chase down the aftermarket parts company if you have a problem. Consumers should look into the history of aftermarket parts and understand the ramifications that aftermarket parts could have on the warranty of the vehicle, the shortcomings of aftermarket parts and the diminished value the vehicle may suffer from the use of aftermarket parts. Consumers should always look for a quality collision shop that uses quality parts and that issues a written warranty of not less than one year on workmanship and parts and in most cases three to five years on the paint. Quality collision shops that perform exceptional services are proud of their hard earned reputation. Many quality collision shops will post letters from satisfied customers for potential customers to see. A bulletin board with such letters is a good sign that the shop has a track record of performing quality repairs. Consumers should take the time to read testimonials and investigate the shop thoroughly when deciding who will best protect their major investment. Most people know little about the collision repair process or the equipment that is required to perform quality repairs. Shops can only perform quality repairs if they have invested in quality equipment. The frame equipment and paint booth are basically the biggest equipment investments collision shops make. Although there are many, the top names to look for in frame machines are Chief EZ-Liner and Car-O-Liner, both are excellent for unibody repairs. A laser measuring system or equivalent is also very important with the ability to print out the measurements. Quality collision shops have made the investment in this type of equipment and will be glad to inform their customers of the investment. There are also a lot of paint booth companies that produce quality paint booths. Some of the top names are Well Built, Garmat, Blowtherm, Spraybake, and Nova Verta. The brand or name is not the issue. The point is that the shop should have a quality booth to perform the refinishing in. Consumers should also be aware that the best equipment in the world is only as good as the people who use it. Consumers should always look for a well equipped shop with the modern equipment required to perform quality repairs. An auto accident is probably one of the most stressful events that a consumer could encounter in his or her normal daily activities. One of the first problems a consumer faces when their vehicle is damaged to the point it can not be driven is substitute transportation. Top quality collision shops will be able to assist consumers is obtaining a rental replacement vehicle quickly. Most all quality collision shops have pre-arranged agreements with rental companies who will also pick up the customer or deliver a car to the shop or the customer’s home. Quality collision shops will also help the customer in selecting a rental car company that will provide a rental replacement vehicle at a reasonable price and provide good service to their customers. One of the biggest companies is Enterprise Rent A Car. The next issue is getting a claim reported and the maze of paperwork that is likely to follow. Collision shops deal with the claim reporting process and claim settlement process every day. It is no secret that dealing with insurance companies in relation to auto accidents is also stressful. This is especially true if you one has never had the unfortunate opportunity to do so in the past. Without the knowledge of what to do first or how to deal with all the aspects of an auto accident and the claim settlement, one could find the experience most unpleasant. A quality collision shop will be more than happy to assist their customers in dealing with these issues. Once the customer is assured of assistance with the rental vehicle and claim assistance the issues of the repairs has to be dealt with. Many or most consumers feel that a damaged vehicle will never be the same after a somewhat serious collision. To a certain extent, the feelings may be justified. The consumer may have had a bad experience with an unqualified shop in the past. However, if the proper steps are taken after an accident and the vehicle is repaired by a high quality shop, the differences can be held to a minimum. No one can make the accident disappear, but automobiles can be repaired back to factory specks if the proper repair procedures are followed, the proper parts are utilized for the repair, and the repairs are performed by a well trained qualified technician utilizing the most modern repair technology and equipment. A top quality collision shop will be willing to relieve some of the stress by assuring the customer that your shop is qualified to do the best job possible as well as assist with the entire claim settlement process. Consumers should choose a collision shop that is willing to assist the customer with all the issues and prove to the consumer that the technicians are qualified and that the shop is properly equipped. Consumers should take notice of how neat and clean the parking lot is when they first arrive at a collision shop. Look to see if the office is neat, clean and well organized as well as the appearance of the actual shop work area. This should give the consumer an idea of how well your vehicle will be taken care of and how well your claim will be handled when it is at the shop. Consumers should notice if vehicles around the shop are comparable with theirs as far as year and value. Certain shops will only attempt to repair older model vehicles less expensive vehicles or their reputation may prevent consumers with later model more expensive vehicles from doing business with the shop. If the type of vehicles the company is repairing and the way the vehicles are being handled by the staff and technicians does not impress you, the repairs that you receive will not likely impress you either. If you have a nice vehicle that you want repaired to the highest degree possible, you should definitely not look for a low price. With the cost of an automobile being the second largest investment a consumer will make in a lifetime, protecting the investment is of great importance. The lowest estimate does not mean the best deal. When a consumer chooses the lowest price over the quality and value of the repairs the decision can come with other cost that can not be recuperated, such as diminished value. Vehicles that show telltale signs of the repair or the vehicle is simply never right after the repairs, the retail value of the vehicle can plummet. The cost to re-repair a poorly repaired vehicle can cost much more than the cost to repair it properly in the first place. The problems or safety issues that a consumer can face when a vehicle is not repaired properly can result in more stress and anguish than the savings achieved. Consumers should always be willing to pay a fair price for the value that is received when it comes to collision repairs. Carry a cellular phone or carry a cardboard sign for your windshield. Preprinted signs that say “Call Police for Help” are available at auto parts stores. Drive Sensibly -Aggressive driving (speeding, rapid acceleration and braking) wastes gas. Lose Weight-Avoid keeping unnecessary items in your vehicle, especially heavy ones. Is Using the Dealer a Must? Will using ‘aftermarket’ parts void my warranty? No. An ‘aftermarket’ part is a part made by a company other than the vehicle manufacturer or the original equipment manufacturer. Simply using an aftermarket part does not void your warranty. The Magnuson-Moss Warranty Act makes it illegal for companies to void your warranty or deny coverage under the warranty simply because you used an aftermarket part. Still, if it turns out that the aftermarket part was itself defective or wasn’t installed correctly, and it causes damage to another part that is covered under the warranty, the manufacturer or dealer has the right to deny coverage for that part and charge you for any repairs. The FTC says the manufacturer or dealer must show that the aftermarket equipment caused the need for repairs before denying warranty coverage. Complain. If you think a dealer’s service advisor denied your warranty claim unfairly, ask to speak with a supervisor. If you still aren’t satisfied, contact the manufacturer or go to another dealer. You also may wish to file a complaint with your state Attorney General, local consumer protection office, local Better Business Bureau, or the FTC. Visit ftc.gov for free information on buying, financing, leasing, renting and maintaining vehicles.